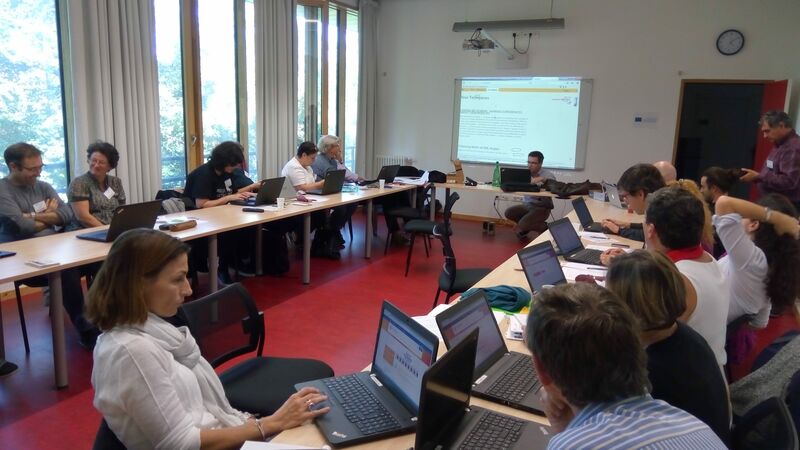 The project officially started on the 1st of September but its cooperation activities began on the 5th and 6th of October via the first transnational meeting. 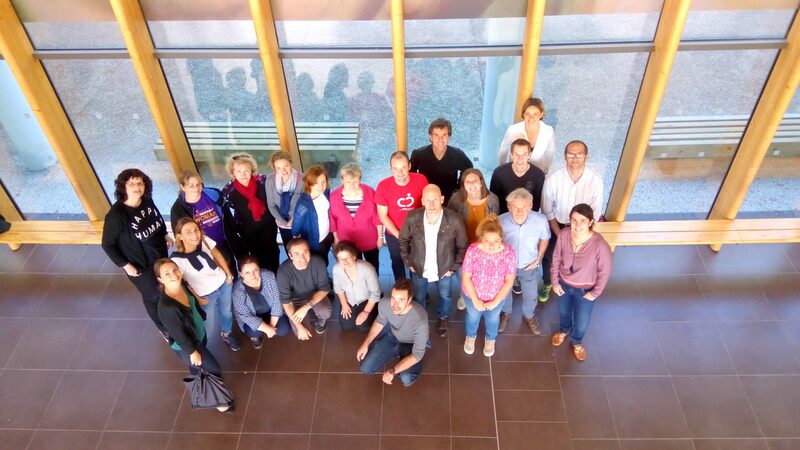 It gathered during two days three representatives of the MATh.en.JEANS association and 22 teachers (mathematics and languages) from the 10 partner schools in Belgium, France, Italy, Poland and Romania. They were involved in a very intense schedule in order to get to know each other, set up the calendar and the Maths&Languages approach for the next school-year . 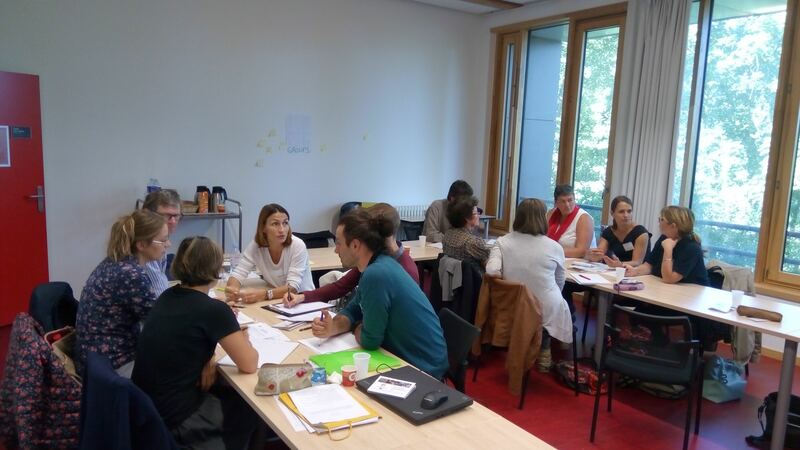 The opportunity has been given to the participants to get trained to the communication tools they will use among the twinnings and to talk about the administrative and financial follow-up, communication and evaluation of the project. More than 20 hours of work for these 25 brave fellows that kept smiling all the way long and look forward to participate in the next transnational meeting (Iasi, Romania 31st of May and 1st of June 2017). 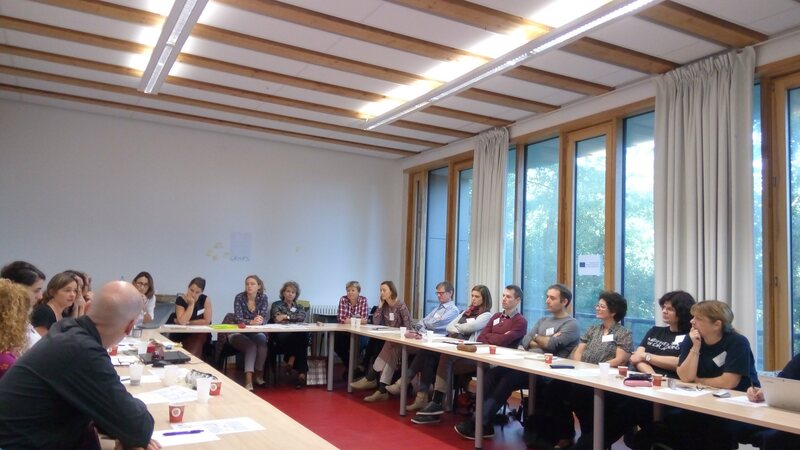 In the meantime, the 5 international twinnings will be fully operational passing through at least 3 videoconference meetings and 1 physical one, very regular discussions on the shared research topics. All of this in a foreign language bien sûr !